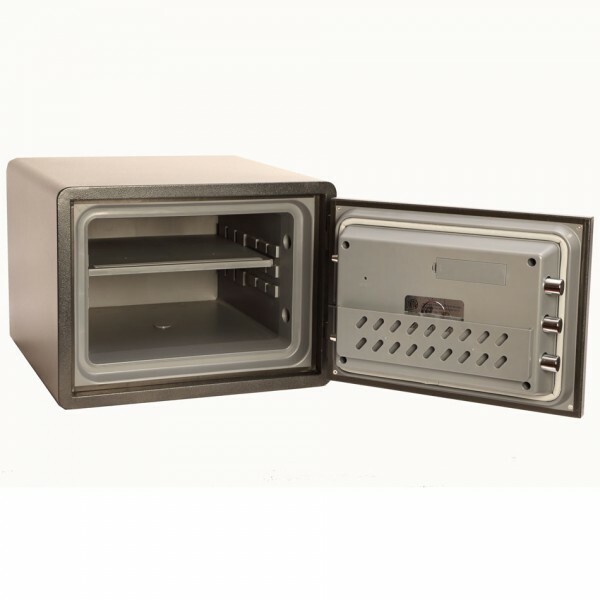 The Phoenix FS1291E Titan Aqua is an ultra-modern and compact range of safes, designed to protect documents, digital media & valuables from fire, water and theft, ideal for residential and business use. 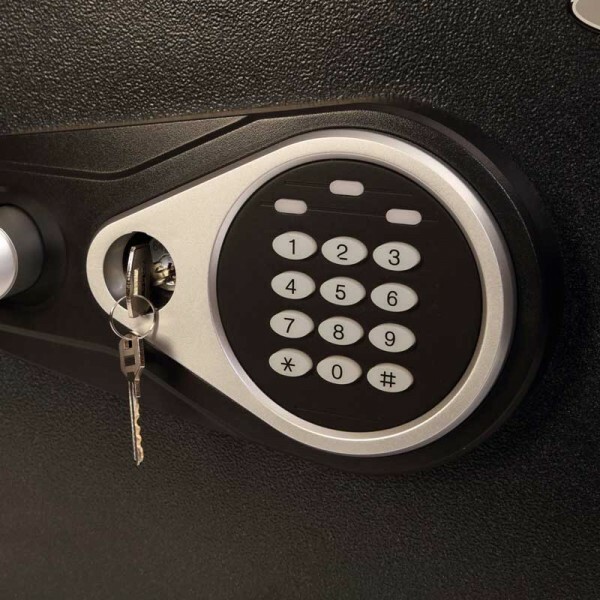 Fitted with an advanced user friendly electronic lock with illuminating keypad and key override facility (2 keys supplied). Water resistant up to 200mm of water for 24 hours. Recommended overnight cash risk of £2,000 or £20,000 valuables.